Act for Kids is an Australian charity providing free therapy and support services to children and families who have experienced, or are at risk of, child abuse and neglect. They have helped thousands of children and families for over 28 years. Act for Kids operates twenty-two centres with a team of over 300 staff from Adelaide all the way up to the Cape York Peninsula. Their services have expanded to include integrated therapy, support for vulnerable families, special workshops to empower kids and safe houses in remote Aboriginal communities. For this month’s Sewalong, we are asking you to create and donate one or more pieces of clothing, made by sewing, embroidering, crafting or a combination of them all. Act for Kids works with children and adults all the way from age 1 to 20, so there are so many possibilities and ways to get involved! Also, for the first time, we are running a sewalong competition where you can create a garment for yourself, or as a donation. By simply uploading a photo of the before and after, you will have the chance to win a fabulous Echidna Prize Pack! It cannot have any potential choking hazards like buttons, beads, ribbons, hems or rhinestones attached. 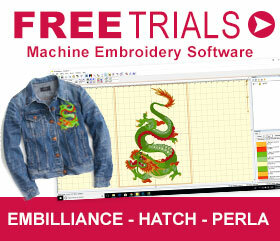 Embroidery – Purchase any ready-made children’s outfit for age range (1 – 5). 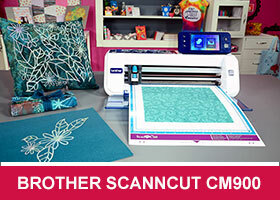 Then decorate it with embroidery, applique or a ScanNCut design. Sewing – Create any kids clothing outfit for age range (3 – 6). For ideas and inspiration please view our Echidna Pinterest Page including Kids Sewing Projects, Clothing Sewing Projects and DIY Printed Shirts. You can also find many more projects online at Craftsy. Organza and Tulle – Are they Stabilizers or Fabrics? 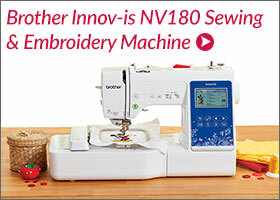 The answer is “both” and they are two of the most versatile products you can have in your sewing room. Organza and tulle are mostly recognised by sewers and couturiers as elegant eveningwear fabrics or under-linings to mount lace or devoré type fabrics upon. The technique of stabilising the outer fabric to an under minimises fabric creep, strengthen seams and gives body to the finished garment but remains relatively invisible and doesn’t change the handle or drape. The use of organza and tulle in embroidery does exactly the same thing. Sandwiching either between two layers of washaway will give freestanding lace more strength, ensures all the stitches remain regimented after washing, keeps a more consistent shape and generally ensures a longer life to the work. Organza is a little more opaque in its finish so it can create more of a “modesty” barrier should the embroidery placement be in an awkward area. Tulle, on the other hand, gives the same strength and stability but is almost invisible and allows either skin or a contrast colour to show through the work. Add a layer of Mylar to the tulle and you will get an iridescent reflective quality that is beyond spectacular!